This is a small introductory mod I made before releasing the TGS. 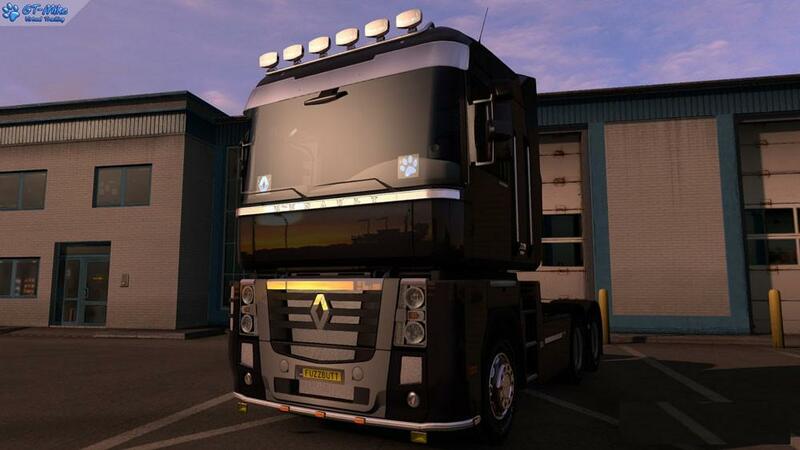 This mod replaces the ingame MAN TGX with a slightly better model and adds 2 new 8x4 chasis. Also a set of 6x sideskirts is available now. Template for new front bumper included in the mod. Additional download Full heavy set contains heavy bumper variants for all chasis. Fixed position of the hook for 8x4 chasis variants.